I notice Kagan is listed in the hot topics on your screenshot. I wonder what that's about? Elena Kagan, she's been making headlines for a few months I believe. 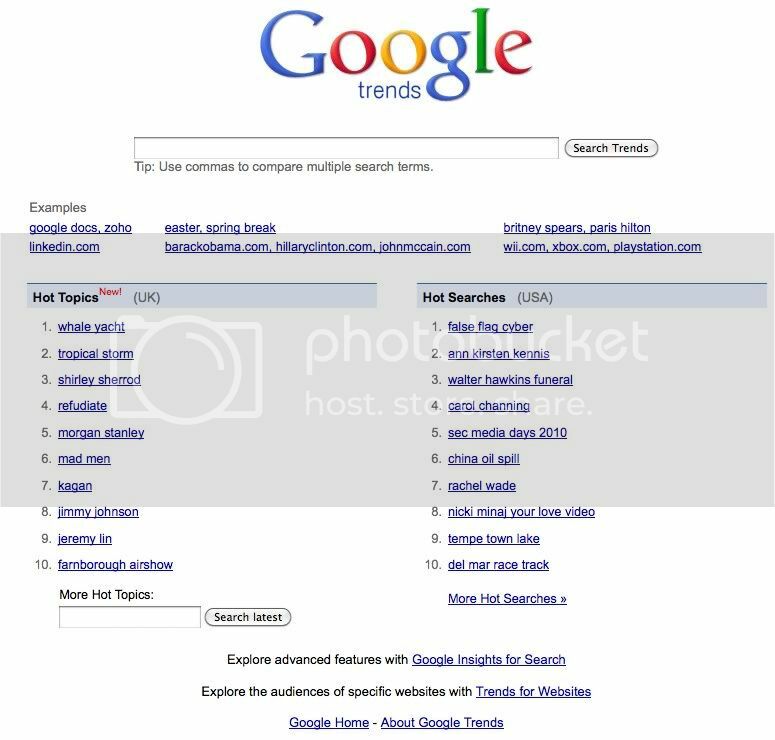 Is there anyway to view the google trends top 100 instead of just the top 20?